Will Russia Allow The United States or Israel To Successfully Attack Iran? Title: Will Russia Allow The United States or Israel To Successfully Attack Iran? 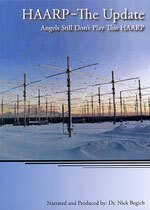 Subtitle: Russia's Scalar Weaponry is far superior to America's HAARP Weapons System and is more advanced than Israel's Scalar. Since Russia has repeatedly warned President Bush that it would not tolerate an attack on Iran, Russia's standing with the Arab community would suffer irreparable damage should the West successfully attack Iran. 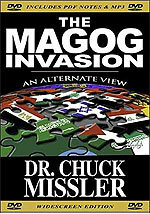 What guidance and understanding does the prophesied Gog/Magog Invasion foretold in Ezekiel 38-39 provide us on this issue? In the past two months, President Bush has continually ratcheted his war rhetoric against Iran in truly exponential terms. He announced that he was sending two more aircraft carrier groups to the Persian Gulf, and since that statement, even more military muscle has been dispatched. Lawmakers on both sides of the political aisle are clearly worried that the President may try to extricate himself from the Iraqi morass by spreading the war northward to include Iran. In the Cutting Edge Newsletter of January 20, we quote former Attorney General Wesley Clark as saying that, since the President is clearly trying to provoke Iran, Congress should begin impeachment proceedings against him on that basis alone! But, no one is asking the truly burning question: Will Russia allow America or Israel to mount a successful attack on Iran's nuclear facilities? President Bush is reportedly contemplating the use of tactical nuclear weapons, especially "bunker busters". Already, the peoples of the world see that America is the only nation on earth to actually use nuclear weapons during a time of war, and aimed those awful weapons directly toward the civilian populations of Hiroshima and Nagasaki. Another American attack using nuclear weapons would truly shatter most relationships other countries would have with the United States. However, such an attack would also irrevocably damage Russia's standing with the global Islamic community, to the point where no one would trust Russia's capabilities any more; and we think that scenario does not run consistent with the prophesied Ezekiel 38-39 invasion, in which Russia leads an alliance of mostly Islamic nations in an End of the Age attack on Israel. However, we shall deal with this issue later in this article. Let us deal with the clearly provocative American build-up against Iran. Did President Bush declare war on Iran in his "surge" speech? Will we have another bogus "Gulf of Tonkin" incident in order to justify an attack on Iran? Please carefully read this excerpt from our January 20, 2007, newsletter. Did President Bush declare war on Iran in his "surge" speech? Will we have another bogus "Gulf of Tonkin" incident in order to justify an attack on Iran? ""President George W. Bush's most recent address to the American people on Iraq may be the scariest presidential message since Ronald Reagan announced that he had launched a nuclear strike against the Soviet Union. Reagan was just kidding. Bush is not." "Immediate reaction to the president's speech has focused on the intended increase in the U.S. troop commitment to Baghdad. However, the greatest danger posed by the Bush plan is not that of horizontal escalation in Iraq, but of vertical escalation throughout the surrounding region. Given the level of violence in Iraq, the addition of another 20,000 U.S. troops is not likely to make much difference one way or another. Causalities— American and perhaps Iraqi — may go up as a result, but only marginally." "The far graver risk inherent in the president's plan is that the war in Iraq may spread to neighboring countries ... In December, the Iraq Study Group, chaired by former Secretary of State James Baker and former Congressman Lee Hamilton, recommended that Bush engage Iran and Syria. He is doing so — by sending an additional aircraft carrier to the Gulf and Patriot missiles to adjoining countries. This is exactly the opposite course advocated by the Iraq Study Group, which urged serious diplomatic talks rather than, or at least in addition to, military saber rattling." "This article then reports on several actions which look to be first steps in confronting Iran. "Given the exceptionally tough tone of the president's latest remarks regarding Iran and Syria, the military moves he has just directed at them, the administration's intensified efforts to build and arm an anti-Iranian regional coalition, and the president's often repeated determination to deny Iran a nuclear capability, there is a growing danger that the current U.S.-Iranian confrontation could escalate in the coming months from harsh rhetoric and economic sanctions to military action. The U.S. military raid upon an Iranian consulate in northern Iraq, and its detention of half a dozen Iranian officials only hours after the president's speech, only highlights the danger of such an escalation." Just to ensure that Iran gets the message that she is in Bush's cross hairs, new Defense Secretary Gates blatantly told the world that Iran is the target of Bush's "surge" program. ""The Defense Secretary Robert Gates today announced that the massive increase in military power in the Persian Gulf is directly aimed at Iran. Gates' comments follow a weekend of intense and heavy loaded rhetoric on the part of many neocon figureheads, signaling that the faintest spark could ignite a huge escalation of conflict in the middle east ... Gates said that Patriot anti-missile missiles, aircraft carriers, and cruise-missile-firing ships have been deployed in order to show Iran that the US means business and will not be distracted by the turmoil in Iraq. The build up has now been going on for weeks and shows no sign of being purely a warning." "The Patriot missiles are intended to shoot down Iranian missiles. The naval forces are there to pre-empt Iranian interference with oil shipments, which would be immediate retaliations to any strike." More information was available on DEBKAfile Intelligence. "Saturday, Jan 20, the ship picked up 2,500 troops at San Diego. The Stennis Strike Group has still to collect two ships at Hawaii before heading east with a complement of 6,500 US soldiers." Some news reports indicate that the Bush Administration plans to have all elements in place for an attack on Iran by April, before Prime Minister Tony Blair leaves office; evidently, President Bush wants to guarantee that the British government will back any attack he carries out against Iran, and that means he will have to undertake the attack before Tony Blair leaves the office of Prime Minister in April. The big question in my mind is whether Russia will allow America or Israel to carry out an effective attack on Iran. For many readers, this statement might sound like blasphemy since all Americans have grown up being told the propaganda lie that American military capability is world class, and is the best in the world by far. Of course, at Cutting Edge has taught the truth, as we have gleaned primarily from LTC Beardon and his teaching on Scalar Weaponry. About two years ago, NBC Weather Anchorman, Scott Stevens, revealed that the reason he had won all his awards for accuracy in weather forecasting was because he had learned to read the Scalar signature in the heavens; he verified much of LTC Beardon's work. And, finally, we thank former Defense Secretary William Cohen for his great revelation about electromagnetic weapons which our "enemies" possessed. Listen to Secretary Cohen address a terrorism seminar in 1997, as he talks about our enemies' capabilities; the "others" referred to in this sentence is "other enemies", as he talks of the weather control capabilities of our enemies. "Others are engaging even in an eco-type of terrorism whereby they can alter the climate, set off earthquakes, volcanoes remotely through the use of electromagnetic waves." "So-called Imperial America very probably does not have the means to back up it´s various attempts to control the world. We are weaker now than we have ever been. Bush´s bravado is empty, and even if we do have the Tesla howitzer, so do Russia and China, and Russia has had scalar EM weapons longer--long enough to have tried and tested various forms of them many times. But although we evidently do have some HAARP powered weapons, physicist LTC Thomas Beardon says we don´t have much, if any, and our scalar weaponry is not yet ready to deploy effectively .. If attacked, our ground forces will be as vulnerable as sitting ducks, out on the hot sandy desert with no place to hide. America´s cities and outmoded ABM systems will not protect us ... America will burn...."
That wording is quite strong, don't you think? Russia's Scalar Weapons "can simply sweep through all that like a scythe through standing hay." Another well-respected expert on scalar weaponry -- who wishes to remain anonymous -- echoed these sentiments, above, but in a flowery and memorable manner. Listen"
"America is going to war (in Middle East) in order to be wiped out."! For full details on our lack of superior weaponry, you can read, "The Emperor Has No Clothes", Part 1 - NEWS1776 - and its prophetic counterpart, NEWS1776b -- Prophetic Implications". Now that we know how much superior Russian Scalar Weaponry is to America's, let us now go to the core of this subject. Will Russia Allow America or Israel To Successfully Attack Iran? Few people outside Cutting Edge know that Russian President Putin "drew a line in the sand" against President Bush on April 12, 2003, at the time Americans were celebrating our "easy" victory in Baghdad. Listen, for on April 12, 2003, just days after Coalition Forces had taken Baghdad, Russian President Putin strode to a podium and drew a huge line in the sand against President Bush. No more, said Putin, no more will we allow you to invade a country and achieve a 'Regime Change'. With the Presidents of Germany and France behind him, Putin told President Bush to back off. NEWS BRIEF: "No strike on other countries, Putin warns US", Sify News, April 12, 2003. "Saint Petersburg -- Russian President Vladimir Putin on Friday warned the US-led coalition not to attack other countries under the pretext of promoting capitalist and democratic values after having defeated Iraq's dictatorial regime. 'We are not going to export capitalist, democratic revolutions,' the Russian leader told reporters as rumours in Washington allege that some elements of the US administration are mulling launching military operations against other Middle Eastern states. 'If we do, we're going to end up on a slippery slope to non-ending military conflicts. We can't let that happen,' Putin said at a joint press conference with German Chancellor Gerhard Schroeder and French President Jacques Chirac after holding talks with them." At this time, American forces were on duty in the Persian Gulf, in the Indian Ocean, our Air Force was powerfully stationed all around the Middle East, and our ground forces were fresh from defeating Saddam Hussein's Guards. American politicians were taunting Iran's leadership, "You're next". Yet, mysteriously, American forces did not attack, but over a period of months, simply melted away. Why did we not attack then? Because the leaders of Russia, German, and France had warned strongly against such an attack, and Russia controlled Scalar Weaponry, the most powerful on earth, and the kind of weaponry which can simply "sweep" through all American weaponry like a "scythe through standing hay". Since April 12, 2003, Russia has assumed the protection responsibility of Syria and Iran. She has provided the same type of anti-aircraft protection of Iranian and selected Syrian targets that protect Russian cities like Moscow. Russia has boldly provided Iran with the nuclear facilities which are now supposedly of such a concern to President Bush and other Western leaders. Iran is protected ultimately by Russian Scalar Weaponry, the most advanced Scalar Weaponry in the world. "Jan 21 (Interfax) - President Vladimir Putin has called unacceptable the use of force for the settlement of conflicts in the Middle East. 'The use of force is unacceptable', he said at a joint news conference with German Chancellor Angela Merkel in Sochi on Sunday ... He said Russia and Germany see eye to eye on the solution of problems in the Middle East. 'We are working together constructively and pooling our efforts', he said." I find it highly instructive that Putin issued this update of his earlier warning while the German Chancellor was at his side. This time, the Chancellor was Angela Merkel rather than Schroeder -- but the effect is the same -- putting the power and authority of the German government behind Russia's Putin. Remember also the time frame in which Putin issued these remarks: President Bush and his Administration officials have been warning Iran for weeks now about how tough we are going to be, and how we are moving massive numbers of military power into the region to back up these stern warnings. "MOSCOW, January 16 (RIA Novosti) - Russia has completed deliveries of Tor-M1 anti-aircraft missile systems to Iran, the defense minister said Tuesday. 'We have supplied modern anti-aircraft short-range missile systems under a contract' ... Sergei Ivanov said, adding that Moscow will continue to develop military and technical cooperation with Tehran. Russia undertook to supply 29 Tor-M1 missile systems to Iran under a $700 million contract signed at the end of 2005. The United States protested the deal, which it feared could bolster the military capabilities of the Islamic Republic, classified by Washington as a "rogue state" and part of 'the axis of evil'." "Russia has insisted that the contract for the delivery of the Tor-M1 missiles to Iran was concluded in line with international law, and that the system is intended for defense purposes only. " It is extremely noteworthy that Russia publicized her final delivery of this sophisticated conventional air defense capability right in the midst of the swirling controversy generated by the American rhetoric and the movement of American naval and Marine units to the oceans off Iran. Russia seems to be delivering a subtle message to America, that she will act vigorously to defend Iran from any attack, whether it is initiated by America or Israel. If this is the case, President Bush will likely back down once again, leaving this entire sorry situation as a "Rumors of War". 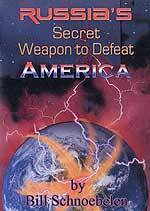 1) If the Illuminati has decided that now is the time to launch the all-out regional war which will trigger the planned World War III, which is planned to produce the Masonic Christ on the world scene. Attacking Iran will certainly trigger such a war. 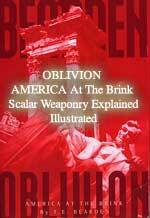 a) As our anonymous Scalar Weapons expert said: "America is going to war (in Middle East) in order to be wiped out."! If this is the Illuminati Plan, then Skull & Bones President Bush will more than happily lead American forces in that direction. Since we know that Iran has possessed militarized nuclear weaponry since early, 2002 (NEWS1660, "Mushroom Clouds Over The Middle East"), we realize that all Western political leaders are raising nuclear weapons fears about Iran simply as a propaganda ploy (NEWS2120, "Nuclear Armed Iran vs Nuclear Armed America: Whom Should The World Fear?"). Since Western leaders know Iran has no plans to turn her new nuclear power facilities into nuclear arms factories -- since she already possessed nukes -- we understand that all this rhetoric is simply to worry the peoples of the world to death, just as prophecy foretells. And, to set the stage for the real shooting war which will start World War III. Are we at that point now? We shall just have to wait to see. We would like to close this article with a note on the Russian-led invasion of Israel as foretold in Ezekiel 38-39. Note the role Russia is prophesied to take. This verse positively identifies the main protagonist in this invasion as Russia. 1. The word, "Rosh" is the old name for the country we now call "Russia". 2. The word, "Meshech" is the root form for the city, "Moscow"
3. The word, 'Tubal" is the name of one of the main rivers of Russia and the Ukraine. The Tubal River is still one of the most significant rivers in the world. Verses 4-6 tell us that this is going to be a monstrous army. God uses words like "a great company", and "Gomer and all his hordes", a "great host, a mighty army [Verse 15], to describe the size of this military force. This military force will appear to be invincible as it marches to the borders of Israel. "And I will turn you back and put hooks into your jaws, and I will bring you forth and all your army, horses and horsemen, all of them clothed in full armor, a great company with buckler and shield, all of them handling swords-- Persia, Cush, and Put or Libya with them, all of them with shield and helmet, Gomer and all his hordes, the house of Togarmah in the uttermost parts of the north and all his hordes--many people are with you." "You [Gog] be prepared; yes, prepare yourself, you and all your companies that are assembled about you, and you be a guard and a commander for them." Since the nations joining Russia on this invasion of Israel at the Latter Days will do so voluntarily, they must have confidence in the leadership capabilities of the Russian leaders and in their weaponry. If Russia cannot successfully defend Iran today against either Israel or America, do you think these Islamic countries are going to have confidence that Russia is the nation to lead them successfully against Israel at the End of the Age? For this reason, I believe that any attack on Iran will have limited success, if not outright failure, and most definitely will not result in the regime overthrow of the hardline Iranian government. You might even see some unexpected Iranian peace overtures designed to placate President Bush and disarm his politically. These are the most momentous of times, as prophecy is either being fulfilled or its stage is being set for fulfillment.